Several parents in Apopka, Fla., are upset over a surprise school "Holocaust" project that some say tormented children, according to a Local 6 News report. Local 6 News reported that eighth-graders with last names beginning with L through Z at Apopka Memorial Middle School were given yellow five-pointed stars for Holocaust Remembrance Day. Other students were privileged, the report said. Father John Tinnelly said his son was forced to stand in the back of the classroom and not allowed to sit because he was wearing the yellow star. "He was forced to go to the back of the lunch line four times by an administrator," Tinnelly said. Tinnelly said the experiment upset his child. "He was crying," Tinnelly said. "I said, 'What are you crying about?' He said, 'Daddy, I was a Jew today.'" Other parents and children shared similar stories, Tinnelly said. "They were told that they could not use the water fountains," Tinnely said. "There was even a sign supposedly at one water fountain (saying) if you're wearing a yellow star , you can't use this water fountain." Tinnelly said he believes it is important to teach the Holocaust, but apparently little was learned during the experiment. "I tried to talk to my son and I asked all of these questions and the only thing he said is, 'Daddy, the only thing I found out today is I don't want to be Jewish,'" Tinnelly said. "Children were selected to be persecuted or privileged, some not told the rule," Local 6 reporter Gerald Reznick said. "Parents tell Local 6 they were not told prior to the school-wide experiment." "Teachers felt that it would have defeated the purpose to tell the students ahead of time because that would have prepared them," Principal Douglas Guthrie said. 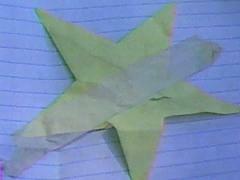 "Students came in and all they got was a star." "This was supposed to be a creative way to teach the horrors of the Holocaust but unfortunately, it has sparked controversy and more importantly, it has sparked conversation," Reznick said. "We have now heard from nearly a dozen parents (who are) very upset." Local 6 News aired a statement from The Holocaust Memorial Resource and Education Center of Florida; "Of course, we applaud Apopka (Memorial) Middle School's effort to engage in Holocaust education with the hope of a tolerance education component in the classroom. That is the mission of The Center to teach tolerance through Holocaust remembrance and education. However, we do not encourage nor train teachers to engage in simulation exercises." Guthrie admitted that he would do some things differently in the exercise because of complaints but said some kids got the message, Reznick said. "They need to know, we don't want history to repeat itself," Guthrie said.